Set in the heart of wine country, Hillcrest Manor Bed & Breakfast tastefully blends the beauty of the Finger Lakes with warm hospitality. In a quiet neighborhood overlooking the town of Corning, owners Richard Bright and Kyle Goodman have created one of the most opulent retreats imaginable. Built in 1890, the Greek Revival mansion reflects the enchantment of a bygone era where guests are lavished with personal attention. This Corning landmark which has been authentically restored to its original grandeur is a gem of woodcraft, complete with a stunning staircase of mohogany. The first floor is an extravanganza of fine details, elaborately carved and inlaid woods of mahogany, walnut and cherry. As an added bonus, a fascinating feature of the home is the extensive collection of Carder Steuben Glass and Western Art. 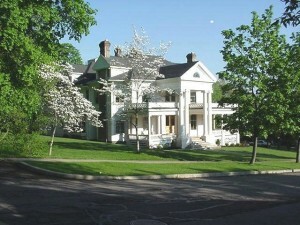 Hillcrest Manor offers five uniquely appointed rooms with traditional antique decor, fine linens and full private baths. These spacious, high-ceiled rooms are luxuriously furnished with antiques from around the world accented by lush colors and fabrics. The first floor suite is a 900 square foot four-room suite that was made for secret hideaways and romantic weekend interludes. This suite includes an oversized room with a king-sized bed, a separate sitting room with a fireplace and queen-sized hide away bed and a walk in dressing room. The second floor consists of several more lodging options, including two distinctive twin-bedded rooms, a queen-bedded room and the master suite. The twin-bedded rooms can either be rented alone where they can be converted into a king bed or rented as part of a two-bedroom suite in conjunction with the queen room to accommodate larger groups. The master suite, which is an oasis of tranquility, is perfect for honeymooners or couples in search of romance. This suite includes a king-sized bed and a fireplace. Not only is each room perfect for the romantic getaway, but they also give guests a unique opportunity to experience the lifestyle of the wealthy at the turn-of-the-century. Culinary delights are a significant part of the experience at Hillcrest Manor. Upon arrival, guests are greeted with a glass of lemonade or an afternoon cup of tea. 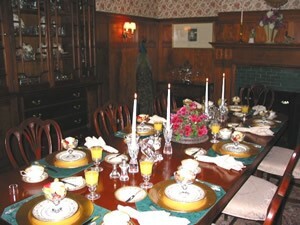 Each morning, a candlelight gourmet breakfast is presented and served on fine china, crystal and linens. Beginning with fresh juice and special blends of tea or coffee, Richard serves a plate of fresh fruits arranged into an artistic presentation, followed by homemade bakes and a hot entree. Richard and Kyle take pleasure in accommodating the various tastes of guests. Choices for the hot entree might include a garden omelet, french toast with pure maple syrup or eggs benedict. 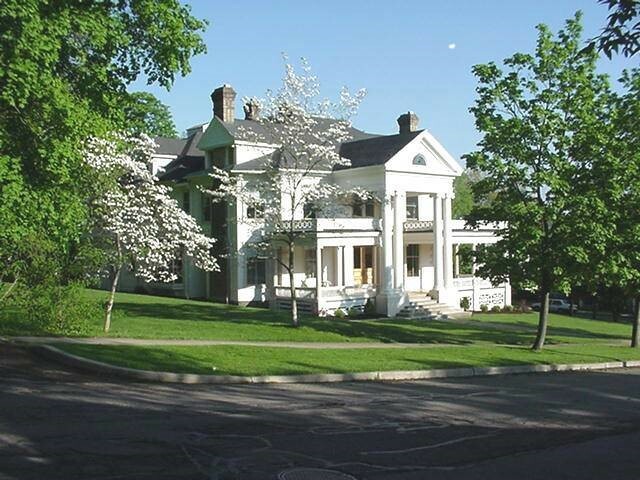 Hillcrest Manor is conveniently situated near the best that the Finger Lakes region has to offer. The inn is a short stroll from Historic Market Street in the heart of Corning. It is the perfect place to find good restaurants, entertainment, shopping and people watching. The Corning Museum of Glass and the Rockwell Museum of Western Art are only several blocks away and are filled with an endless amount to do and see as well. Perhaps the area is most famous for those long, deep blue finger-shaped lakes and rolling hills dotted with vineyards. The area boasts more than 70 wineries, with wine trails winding along five of the lakes: Canandaigua, Cayuga, Keuka, Ontario and Seneca. Any wine lover should not miss this opportunity to taste the fruit of these wineries.